Trusting a 3rd party logistics provider with potentially millions of pounds worth of stock is a decision not to be made lightly. PC Howard Limited treats the security of your stock very seriously which is why we ensure that proper security controls are in place at all our warehouse depot locations. 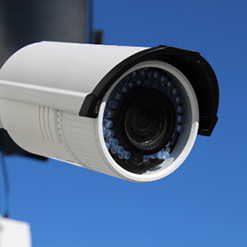 All of our sites have modern CCTV security systems in place and our warehouses are also alarmed and use the Redcare facility which means that they are linked to an independent monitoring station. We are temporary custodians of your valuable goods which is why we have the systems and infrastructure in place so that once your goods are received by us, they are stored securely regardless of in which depot we store them. Our sites are constantly monitored on a 24/7 basis which means that your freight is fully protected 100% of the time. Our systems are also regularly maintained to ensure that if there were to be any incident, we are protected from unwelcome visitors. In essence we treat your warehoused products as if they were our own.